Ready to get In Control of your weight? Life's better when you're at your healthiest. That's why at Kaiser Permanente we're committed to promoting healthy change and helping you achieve your health goals. We offer a dedicated staff and a broad range of primary and specialty care services to give you the resources and support you need to help you feel your best and live life to its fullest. You can make it happen. And we're here to help. If you want to lose a significant amount of weight and want to make positive, lasting changes that improve your health, increase your energy, and help you get the most out of life, the Kaiser Permanente Medical Weight Management Program may be the answer for you. We are offering solutions to help members lose a significant amount of weight – typically 10-30% of their body weight*. Using a range of options including, meal replacements, medication, and expert advice and support, you can learn to make sustainable lifestyle changes to lose weight but more importantly keep it off. The options we'll focus on are safe, health conscious, proven solutions that are based on treating the whole you, not just your weight. You'll have a Kaiser Permanente team providing the support, supervision, and expertise you need every step of the way to help you reach your goals. The Kaiser Permanente of Georgia TransforME program consists of board certified physicians who have speciality training in Obesity Medicine. Along with guidance from the physician, you will have a team of Nutritionists, Behavioural Health specialists, Fitness Specialists, pharmacists and others to help you achieve your goals. Our weight management programs are backed by research and are making a difference for our participants. Anyone who's tried diets or weight loss plans knows all too well that finding long-term success can be a difficult task. Many plans and products offer rapid weight loss as a quick fix, however, keeping the weight off turns out to be the bigger challenge. With the Kaiser Permanente Medical Weight Management Program, you'll have an entire team by your side to help you achieve the lasting changes you want. A group of experienced physicians and educators will provide you with medical supervision, behavioral and nutritional advice, and weekly group support sessions. Our physicians will periodically check your lab values and EKG reports to ensure your weight loss is safe, and appropriate for you. In addition to losing 10-30% of your body weight, patients have seen overall improvement in their health, including lower blood pressure and cholesterol, control of diabetes, and relief of joint pain. This fee-for-service program costs $750 for a full year program. which includes 27 weekly and monthly intensive lifestyle education group sessions, 7-8 physician visits and clinical monitoring with our trained clinical staff. Total cost depends on the weight loss solution: patients selecting OPTIFAST would pay for the cost of this total meal replacement food plus the program fee. Patients selecting InControl with anti-obesity medications would pay their co-insurance for their medications. How much weight should I expect to lose? On average, patients can expect to lose 1 to 3 pounds per week throughout the course of the program. Accelerated weight loss may occur in the early weeks. Is the Medical Weight Management Program covered by my Health Plan benefits? In general these services are not covered by Kaiser Foundation Health Plan. However, members with the Obesity Rider or Senior Advantage may have a reduced program fee. 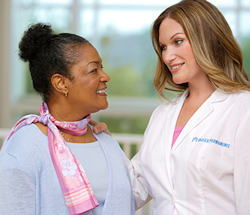 Kaiser Permanente does offer other free programs to help support and facilitate weight loss. Click here to learn about some of the other resources available from Kaiser Permanente. Do I need a referral from my primary care physician before attending the orientation session? You may contact any one of our locations directly to learn more about upcoming orientation sessions. Are there physical benefits from losing weight besides looking and feeling better? Research has shown that weight reduction can have a positive impact on managing hypertension, normalizing blood sugar levels, lowering cholesterol, improving sleep, decreasing joint pain and improving the quality of life for many people. I am Diabetic and have other medical complications, is it safe for me to be on the program?Yes, our trained bariatricians will thoroughly evaluate you and make sure you can safely go through either the OPTIFAST or InControl Program. You will be monitored frequently by our clinical staff and your medications may need to be adjusted as you lose weight. Many of our patients are pleasantly surprised to find that their medications are greatly reduced or even eliminated because of their decreased body weight, increased activity level and healthier lifestyle. Is a full liquid fast medically safe? When medically supervised, the use of a full liquid fast is safe and effective for weight loss. Click here to learn more about OPTIFAST® meal replacements. Will I feel weak or fatigued while on the meal replacement program? You should not feel weak or fatigued as a result of the meal replacements. The meal replacement program is designed to prevent caloric deprivation, provide complete nutrition, and stimulate your body to derive most of your caloric needs from your body's fat stores. This process eliminates hunger and fatigue. Is rapid weight loss bad for my health? Rapid weight loss using the full fast supplement in combination with medical supervision is safe and healthy. On the other hand, rapid weight loss produced by un-supplemented fasting or fasting with inferior products can cause your body to use lean muscle tissue as a source of fuel. This can jeopardize your health and make weight maintenance difficult. The products used in our program are formulated to protect lean muscle mass and to use fat stores as fuel, thereby eliminating these risks. Are there negative side effects from using a full fast weight loss plan? Most people who use OPTIFAST® experience no negative side effects at all. A small number of people experience minor and temporary hair-thinning during the Active Weight Loss phase. Like the temporary hair loss that often occurs during pregnancy, this is almost always reversible. Some people experience episodes of light-headedness. In some cases, the full fast can lead to an increase in uric acid levels. People with a history of gout are monitored carefully so that appropriate treatment can be initiated, if needed. Once I lose my weight, what can I do to keep it off? Some people find it easier to maintain their new weight if they use meal replacements on an ongoing basis as either a meal replacement for one meal a day or as their morning or afternoon snack. To learn more about our program please call us at 404-365-0966 to be registered for one of our monthly orientation sessions. We value your commitment to better health, and register all Kaiser Permanente members on a first come, first serve basis, based on session availability.